West Ham and Chelsea go head to head in what should be a lively contest between two London rivals on Monday Night Football. Will Chelsea maintain their commanding lead at the top of the Premier League? 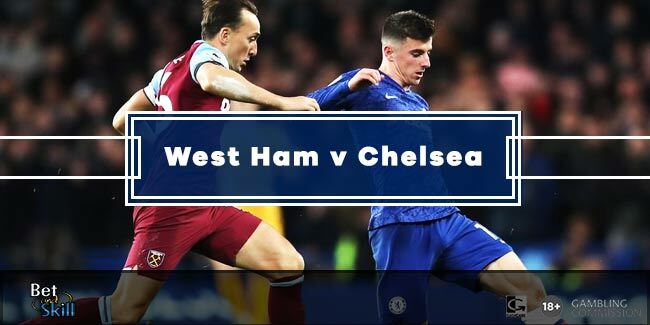 This article contains our West Ham v Chelsea betting preview with predictions, betting tips, starting lineups, team news, enhanced odds, special promotions and no deposit free bets on this clash! West Ham have collected three wins, two draws, and three defeats from their eight games played in all competitions in 2017. They managed to salvage a point from their travel to Watford last time out despite going behind to an early goal and being reduced to ten men late on. They sit in 9th position far away from the danger zone where they spent a solid part in the early stages of the season. Six of West Ham's last seven matches have resulted in at least three goals being scored. In terms of direct matches, West Ham have lost just one of their last four competitive games against Chelsea. Slaven Bilic will be without the suspended Michail Antonio but Andy Carroll has returned to full training this week following a groin injury and is in line to return to the starting XI. 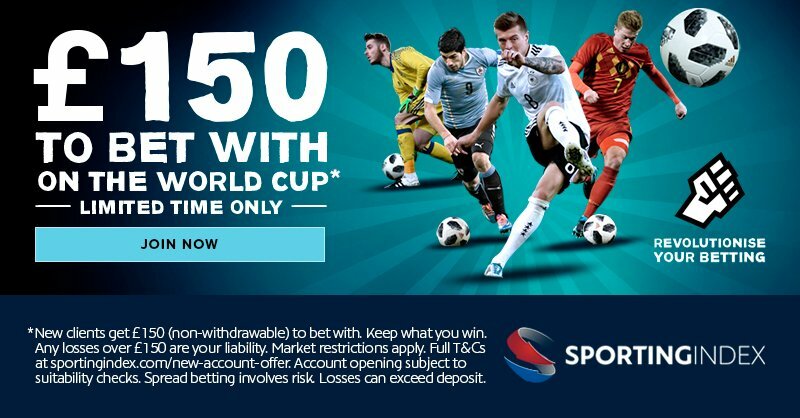 He will be supported by Sofiane Feghouli, Robert Snodgrass and Manuel Lanzini in the advanced midfield positions, with Andre Ayew providing an alternative. Mark Noble and Pedro Obiang are likely starters in central midfield, while the back four of Cheikhou Kouyate, Winston Reid, Jose Fonte and Aaron Cresswell also set to remain unchanged. Diafra Sakho, Gokhan Tore and Angelo Ogbonna are out through injury. Chelsea beat Swansea 3-1 last time out to make it seven wins and two draws since their last defeat in all competitions. That superb sequence has seen them open up a 10-point lead ahead of this latest round of games in the Premier League. Anywawy, their last two road trips in the league, at Burnley and Liverpool both finished all square at 1-1 and have now conceded in each of their last four league games. Chelsea ran out 2-1 winners when they hosted West Ham United in the Premier League last August but they suffered a 2-1 defeat when they visited the Hammers in the EFL Cup last October. Eden Hazard picked up a minor knock in training but is expected to play on Monday night. Cesc Fabregas played a lead role in their win over Swansea at the weekend but Nemanja Matic could be recalled to the starting XI. N’Golo Kante looks a sure starter elsewhere in central midfield, with Victor Moses and Marcos Alonso continuing in the wing-back positions. Pedro and Willian continue to battle for a start in the forward trio while no changes are expected for the rest of regular starters in the usual 3-4-3 formation favoured by Antonio Conte. West Ham (4-2-3-1): Randolph; Cresswell, Reid, Fonte, Kouyatè; Noble, Obiang; Feghouli, Snodgrass, Lanzini; Carroll. Chelsea (3-4-3): Courtois; Azpilicueta, David Luiz, Cahill, Marcos Alonso, Matic, Kantè, Moses; Pedro, Hazard, Diego Costa. 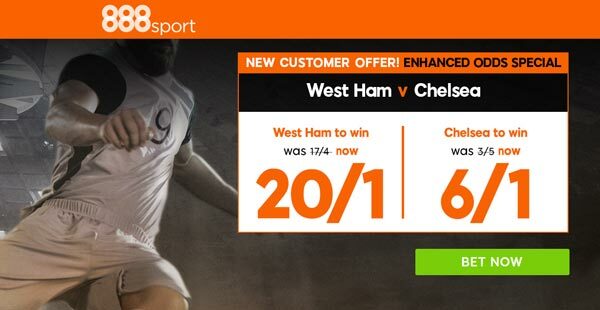 "West Ham v Chelsea predictions, betting tips, lineups and free bets (Premier League - 6.3.2017)"